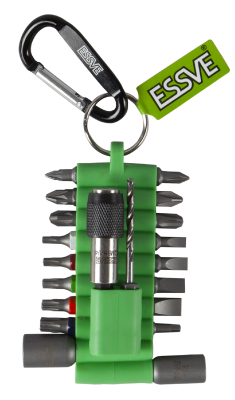 We recommend use of bits from ESSVE together with ESSVE screws for optimum fit, which facilitates driving-in and gives the best end-result. 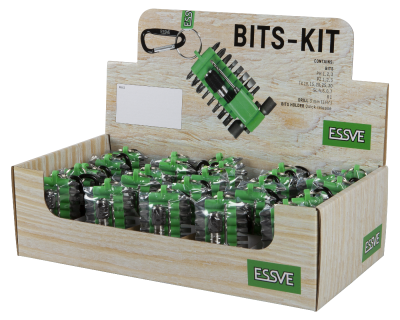 Choose between bit sets with 11 or 21 pieces, containing selected TX bits, Philips bits, square bits, etc. Bits kit for decking installation. Various types of bits sets and bit holders, as well as loose bits, are included in the range.